This year Sweden is the designated partner country to Hannover Messe and ANS is proud to be one of the exhibiting Swedish companies. We will showcase our latest developments within our three core technologies for friction and wear reduction: Triboconditioning®, TriboNite® and Tricolit®. Looking forward to seeing you in Hannover! The Hannover Messe is the world’s leading trade show for industrial technology with more than 5000 exhibitors from more than 75 countries. We are proud to announce that we have signed a license agreement with one of the world’s largest manufacturing companies. ANS will closely cooperate with this Fortune 500 company in order to implement our solutions, Triboconditioning® and TriboNite®, for key components within our customer’s machines, which will help boosting performance and enhance durability. Together, we are looking forward to unlocking the great potential of our technologies. ANS, for the first time will be displaying at IMTS, the premier manufacturing technology show in the Northern Hemisphere. Our latest cutting edge friction and wear reduction surface treatments Triboconditioning®, TriboNite®, and Tricolit® will be on display. 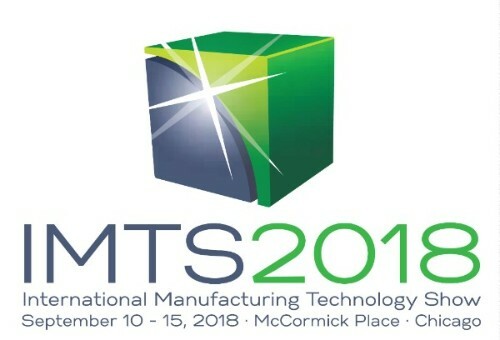 Visit our booth 122011 in the East Hall of McCormack place and learn how the wide range of treatments and material solutions developed by ANS can add value to your manufactured products. To support our development work within customer programs and the ongoing technology commissioning activities, we are seeking to hire an Experienced Production Engineer and a Development Engineer to our office in Uppsala, Sweden. If you want to work in a dynamic and dedicated team, with front-line technology development, together with global leaders in the industry, to shape our industrial processes that minimize friction and wear, then this is your opportunity! For the Production Engineering position, we are looking for candidates that have a production engineering background with a solid experience in CNC machining and hardware, as well as related QA aspects, with a focus on new technology adoption. You should be able to identify and freely communicate technical issues with peer engineers internally and externally and provide customized solutions when necessary. For the Development Engineer position, we are looking for candidates with a material science and/or engineering background (MSc/BSc) that could actively support the development of our unique technologies together with our customers. Primary work will be to manage customer development projects, work with process development and industrialization as well as process quality control systems. ANS will exhibit at the Hannover Messe April 23-27 in hall 004, stand E40. Come and talk to us over some freshly brewed coffee and baked cinnamon buns. Ludwigshafen, Germany, and Uppsala, Sweden, September 20, 2017 — BASF Venture Capital GmbH is leading an investment round in the Swedish high-tech company Applied Nano Surfaces Sweden AB (ANS), headquartered in Uppsala, Sweden. ANS offers unique surface treatment technologies to reduce friction and wear in industrial and automotive applications. The investment is co-led by the existing investor Fouriertransform AB. ANS will use the investment proceeds to put its ongoing customer projects into high-volume series production, initially in automotive applications such as valve train components, cylinder liners and connecting rods. In addition, the funds will be used to further expand business development activities in other industrial application areas as well, such as hydraulic motors, rock drills, pumps, chains, gears and compressors, where friction and wear are highly relevant topics. BASF Venture Capital GmbH was established in 2001 as a wholly owned subsidiary of BASF New Business GmbH, Ludwigshafen, Germany, with the aim of exploring new growth potentials based on investments in startup companies and funds. More information is available at: www.basf-vc.com. At BASF, we create chemistry for a sustainable future. We combine economic success with environmental protection and social responsibility. The approximately 114,000 employees in the BASF Group work on contributing to the success of our customers in nearly all sectors and almost every country in the world. Our portfolio is organized into five segments: Chemicals, Performance Products, Functional Materials & Solutions, Agricultural Solutions and Oil & Gas. BASF generated sales of about €58 billion in 2016. BASF shares are traded on the stock exchanges in Frankfurt (BAS), London (BFA) and Zurich (BAS). Further information at: www.basf.com. Applied Nano Surfaces AB (ANS) offers innovative solutions for friction and wear reduction. The technologies have a favorable cost-performance profile and are easily implemented in existing production lines. ANS has three core offerings: ANS Triboconditioning®, ANS Tricolit® and ANS TriboNite®. ANS Triboconditioning® is a mechanochemical surface treatment method that is used to reduce friction losses for components made of steel and cast iron. ANS Tricolit® is a series of low friction coatings applicable to components of various materials and shapes. ANS TriboNite® is an advanced heat treatment and coating process that gives the component a hard and durable surface with low friction capabilities. ANS has more than 50 development projects with OEMs and Tier 1 suppliers from the automotive industry as well as over 20 customer projects in various industrial applications where friction reduction is a major topic. The IZB was started in 2001 as a Volkswagen in-house trade fair and has today one of the most important events for the international automotive supplier industry with over 50,000 visitors. ANS will be there and we are proud to launch our latest new offering, TriboNite™, which has great performance to reduce friction and wear. Join us and learn more! Visit ANS display at Hall 2, stand 2303 and learn about TriboNite™ and our offerings. The Aachen Colloquium has become the largest automotive and engine technology congress in Europe and offers great learning-opportunities and forum for establishing new contacts. We welcome you to meet us, ANS, at the congress to learn more about our offerings and exploring your possibilities to decrease friction and wear, our passion. SAE 2016 COMVEC is the conference of choice for the sharing of technical knowledge and networking for the global on-road and off-road commercial vehicle industry. In today’s dynamic commercial vehicle industry, all industry professionals must constantly prepare themselves to identify and solve the challenges of tomorrow. Become a part of the greater conversation changing, guiding, and influencing our industry today, while building the skills to lead and inspire…tomorrow. Visit ANS display at space #35 and learn about our technology. Linamar, ranked top-33 tier-1 in North America, and ANS have signed a license- and partnership agreement on connecting rods for light- and medium passenger vehicles. Linamar’s growth strategy is focusing on diversification, globalization and green technologies and with the ANS Triboconditioning® technology applied on connecting rods Linamar will further strengthen the value proposition to the market. Eric Ecclestone, Global Product Manager Connecting Rods at Linamar, states that “this agreement makes a part of Linamar’s strategy to increase the value delivered to our customers. With ANS Triboconditioning® we can offer a solution combining great performance with a competitive price and thus strengthening our position as a world leading supplier of connecting rods”. The partnership with Linamar is an important step for ANS in establishing our offering globally. Linamar has the ambition to grow, the skills and strength to offer a new solution to the market and the financial muscles to achieve the targets. In 2015 Linamar had a record year with 5,2 BUSD in sales and 437 MUSD in earnings. The license agreement is a solid proof that ANS have a qualified position on the global market for friction and wear reducing technologies.